Talaura Cothran had a vision one night about an all-inclusive special pageant designed just for young girls with special needs and disabilities. Talaura’s muse was her mother Jennifer. At a young age her mother was paralyzed by a drunk driver and has been a wheelchair user ever since. Her mother was a former Ms Wheelchair California, and as a pageant girl herself, Talaura saw a greater need outside of just the physical disability needs of a wheelchair user. She saw a pageant for girls with all different disabilities and impairments competing together in a safe and loving environment. 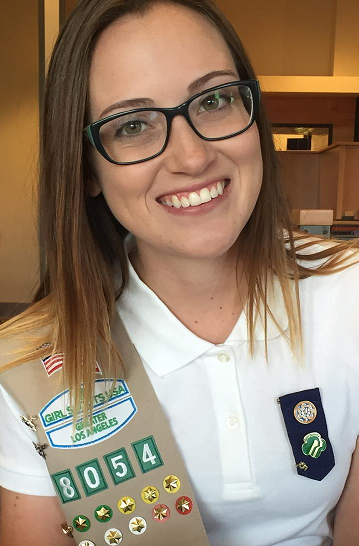 What started out as a Girl Scout Gold Award Project, has turned into Talaura’s passion. Talaura is a Senior in high school and has been in Girl Scouts for 12 years. Girl Scouts has taught her to be compassionate, to be responsible, and leadership skills.Talaura wants to showcase these special young ladies talents and inner beauty to the world. She believes that every girl should feel special. This pageant was created with the vision to give all the contestants their moment in the spotlight. All contestants are winners, and no one walks away without a prize, beauty is not just on the outside, it comes from within. As a pageant girl herself Talaura was compelled to give each contestant a sense of self-worth, confidence and sisterhood that can only come from a loving pageant environment. In her own words Talaura said “I want all my girls to know they are beauty personified, and have special abilities that can enrich our lives, communities, and the world”.